Two individuals living in Canada and Florida were responsible for the massive data breach suffered by Uber in 2016, the ride-sharing company’s chief information security officer said on Tuesday. In a hearing before the Senate Subcommittee on Consumer Protection, Product Safety, Insurance, and Data Security, Uber CISO John Flynn shared additional details on the data breach that the company covered up for more than a year. The details of 57 million Uber riders and drivers were taken from the company’s systems between mid-October and mid-November 2016. The compromised data included names, email addresses, phone numbers, user IDs, password hashes, and the driver’s license numbers of roughly 600,000 drivers. The incident was only disclosed by Uber’s CEO, Dara Khosrowshahi, on November 21, 2017. Flynn told the Senate committee on Tuesday that the data accessed by the hackers had been stored in an Amazon Web Services (AWS) S3 bucket used for backup purposes. The attackers had gained access to it with credentials they had found in a GitHub repository used by Uber engineers. Uber decided to stop using GitHub for anything other than open source code following the incident. 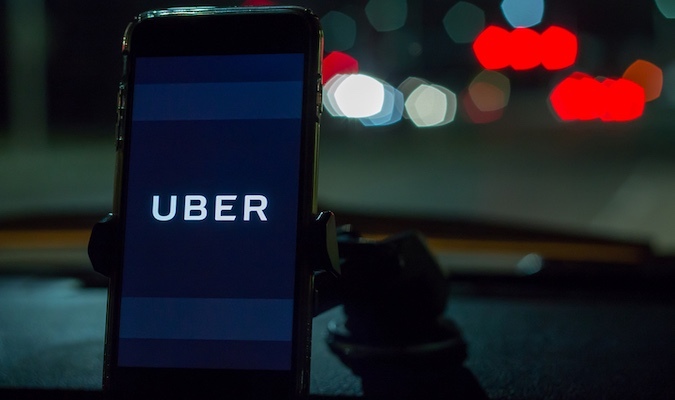 Uber’s security team was contacted on November 14, 2016, by an anonymous individual claiming to have accessed Uber data and demanding a six-figure payment. After confirming that the data obtained by the hackers was valid, the company decided to pay the attackers $100,000 through its HackerOne-based bug bounty program to have them destroy the data they had obtained. While some members of Uber’s security team were working on containing the incident and finding the point of entry, others were trying to identify the attackers. The man who initially contacted Uber was from Canada and his partner, who actually obtained the data, was located in Florida, the Uber executive said. A code of conduct added by HackerOne to its disclosure guidelines last month includes an entry on extortion and blackmail, prohibiting “any attempt to obtain bounties, money or services by coercion.” It’s unclear if this is in response to the Uber incident, but the timing suggests that it may be. The Uber CISO has not said if any actions have been taken against the hackers, but Reuters reported in December that the Florida resident was a 20-year-old who was living with his mother in a small home, trying to help pay the bills. The news agency learned from sources that Uber had decided not to press charges as the individual did not appear to pose a further threat. Flynn admitted that “it was wrong not to disclose the breach earlier,” and said the ride-sharing giant has taken steps to ensure that such incidents are avoided in the future. He also admitted that the company should not have used its bug bounty program to deal with extortionists. Uber’s chief security officer, Joe Sullivan, and in-house lawyer Craig Clark were fired over their roles in the breach. Class action lawsuits have been filed against the company over the incident and some U.S. states have announced launching investigations into the cover-up. U.S. officials are not happy with the way Uber has handled the situation. “The fact that the company took approximately a year to notify impacted users raises red flags within this Committee as to what systemic issues prevented such time-sensitive information from being made available to those left vulnerable,” said Sen. Jerry Moran, chairman of the congressional committee. Just before the Senate hearing, Congresswoman Jan Schakowsky and Congressman Ben Ray Lujan highlighted that Uber had deceived the Federal Trade Commission (FTC) by failing to mention the 2016 breach while the agency had been investigating another, smaller cybersecurity incident suffered by the firm in 2014. Related: Should Uber Users be Worried About Data Hack?